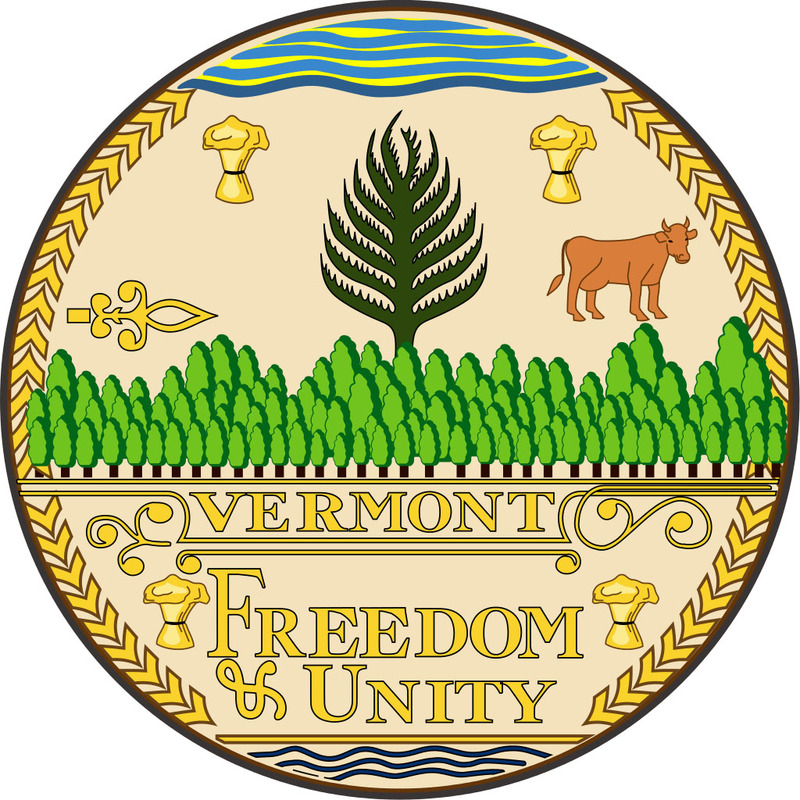 State seal of Vermont; designed by Ira Allen, adopted in 1779. Photo by Arnaud Ramey/Wikipedia (Public Domain Image). The row of wooded hills indicate the Green Mountains of Vermont; the sheaves and cow are symbols of agriculture; the wavy lines at the top and bottom of the seal represent the sky and water. 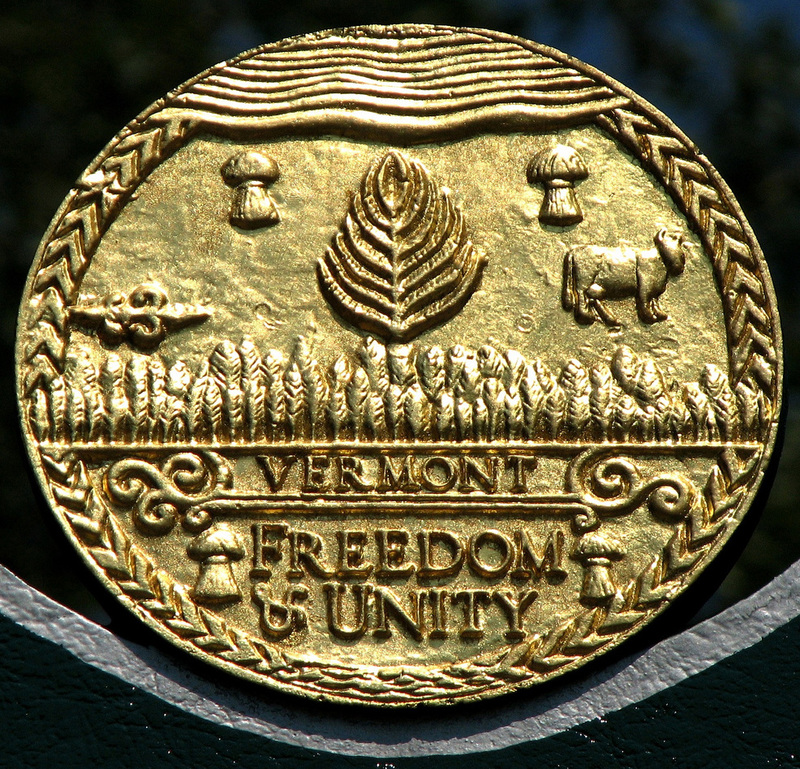 The central focus of Vermont's great seal is a pine tree (pine trees in colonial days were impressive, often standing a hundred feet above surrounding trees). Vermont State Seal atop the official state marker at 173 North Prospect, Burlington VT; photo by Don Shall (origamidon) on Flickr (noncommercial use permitted with attribution / no derivative works).